Understanding the Earth system requires establishing and quantifying which pathways and feedbacks exist between the deep Earth and its surface. The release of volatiles and bio-essential elements from mantle and crust into the atmosphere and oceans has allowed for the origin and evolution of life on Earth. The return of hydrated and altered oceanic lithosphere into the mantle at convergent plate boundaries fuels associated volcanism and provides the lubrication required to sustain mantle convection and plate tectonics. The exact nature of the chemical exchange processes at the interface between major terrestrial reservoirs, the relative importance of competing fluxes throughout Earth history and the exact role played by the evolving biota on geochemical cycles still remain largely open questions. Isotope geochemistry has historically played a crucial role in identifying the nature of chemical pathways and fluxes between major terrestrial reservoirs. Recent analytical advances have allowed for most of the elements in the periodic table to be studied for their isotope composition to unprecedented precision, thus opening up numerous opportunities to carry out detailed investigations of geochemical cycles. 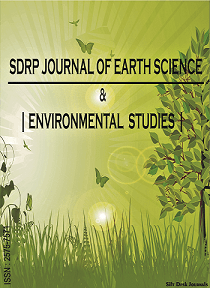 In this Research Topic, we welcome contributions aiming to explore and determine the geochemical cycles of elements with so-called non-traditional stable isotope systems, as well as determine their fluxes between terrestrial reservoirs. This may, for example, include focusing on mantle to surface exchanges, crustal formation and differentiation, weathering of the continental crust, marine biogeochemical cycles/budgets, and chemical fluxes in recycled crust. We especially encourage contributions that focus on the evolution of these cycles and fluxes through transitions in the geological record, whether in deep time or in its most recent history.